Within the realm of app and software development, it is now absolutely essential for development teams to work together, and to invest in the right kind of computing infrastructure that would be conducive to development. As agile methodologies and DevOps become the lay of the land in the corporate IT world, it's critical that teams are given the right tools and are managed properly for app development projects to be a success in the long term. That being said, however, there are quite a few challenges that IT administrators are still facing on the DevOps front. Communication and personnel issues, challenges within the testing side of development and aging computational infrastructure are all important problems that IT managers will need to address in the coming year. One could say that these challenges are the lions, tigers and bears of the app development process - with the Oz of a well-oiled DevOps machine waiting at the end of the road. This first issue is like the dangerous lion of DevOps - the king of animals, thus the biggest unresolved problem within the tech space. According to The Register's Michael Cote, one of the ongoing issues within the DevOps space lies with the people doing the app development and deploying the software. Cote stated that DevOps, while a useful methodology with the goal of improving app life cycle and minimizing downtime, has myriad challenges when it comes to the actual execution of strategies because of the people involved. More specifically, human nature seems to get in the way. "What I've learned is that it's a meatware problem: People's default to resist change is what holds back transforming to a DevOps mindset," Cote wrote. "This is why the DevOps cult leaders go on and on about 'culture.'" That cohesive culture is crucial to having a well-oiled machine in terms of operations and development teams. 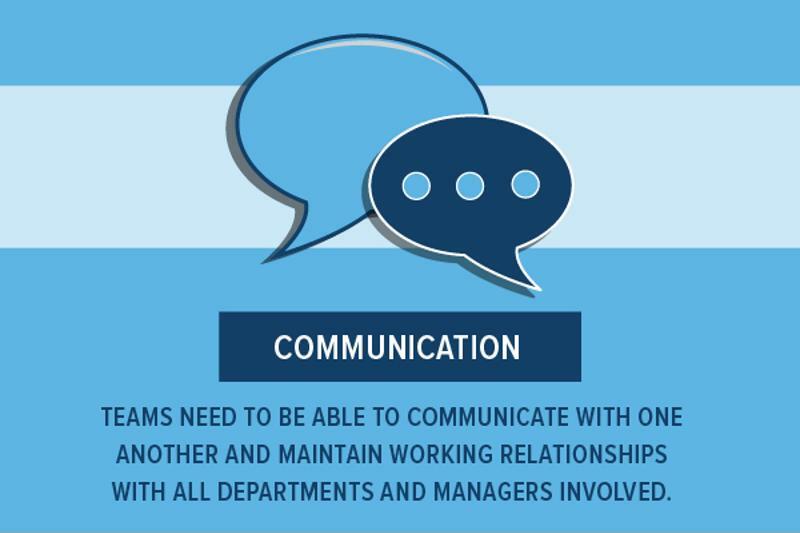 Teams need to be able to communicate with one another and maintain working relationships with all departments and managers involved. Breakdowns in communication can be detrimental to the overall performance of the team and can lead to having to push deployment back by weeks or even months. The most important part of working together in a DevOps team is communication. When it comes to creating, developing and deploying applications, one of the most important steps is the testing process - or, in this analogy, the tiger of DevOps. However, there are inherent challenges within this phase of application development, specifically with automating the testing process. The entire goal of testing automation is to streamline the development process and shorten the time it takes to deploy an application. However, if teams are not on the same page or the IT infrastructure doesn't support agile methodologies, issues can arise within this vital step. According to Sys-Con Media contributor Sanjay Zalavadia, the concepts of interoperability and automation integration prove troublesome for DevOps teams and software vendors. "Clunky integration," as Zalavadia referred to it, can be the downfall of the entire development process - not just testing. "The diverse array of devices, operating systems and software development kits often result in integration issues that can negatively impact the final product," Zalavadia wrote. "Even with the adoption of DevOps culture, there is some still some dissonance among test management teams regarding the best way to organize and execute certain tests." Interestingly enough, as Zalavadia pointed out, some of the issues with testing automation come back to the aforementioned management and personnel challenges. Software Testing Help noted that fast deployment and effective automation testing depends on 1) a fundamental understanding of company processes and regulations, 2) a good relationship with the developers and 3) a skilled workforce of testers, among other things. When these things do not align properly, deployment might be pushed back, which leads to problems down the road for everyone involved. "There are some things that simply don't translate well to the cloud." With this, we reach the bear of the "Wizard of Oz" metaphor. According to ITBusinessEdge, one of the biggest issues that faced development teams at the start of 2015 was the need to make the leap to the cloud while still shackled to legacy systems. The challenge lies in getting legacy apps to work within modern tools. There are some things that simply don't translate well to the cloud or to other kinds of modern IT infrastructure, and it's up to the IT administrators to find ways to circumnavigate the complicated landscape of DevOps when not all of the puzzle pieces exist in the same place. Solutions like QualiSystems' CloudShell are able to bridge the gap between aging IT equipment and newer cloud environments. By deploying and testing applications in the environment-as-a-service offering, dev teams do not have to worry about the challenges of connecting legacy to cloud. There are quite a few benefits of adopting DevOps practices, and nearly every industry can take advantage. For example, a recent MeriTalk study found that DevOps is helping government agencies manage app life cycles. According to Government Computer News, 74 percent of those surveyed noted that by using DevOps methodologies, they have decreased the chance of project failure and reduced the necessary cost. In addition, 76 percent reported faster app delivery. It's clear that deploying DevOps methodologies is a good business move, but these challenges - most of which can be traced back to personnel and communication problems - remain. Some of the issues with DevOps teams can be attributed to the bureaucratic processes involved in creating and deploying new code across an organization. Sometimes teams are unable to break down communication barriers and take steps to collaborate with other departments, which is crucial within the development process. As previously mentioned, technology sometimes gets in the way of app delivery, as well - aging systems sometimes just can't cut it in today's cloud-based world. All of these challenges will require attention as 2016 progresses. Automation solutions like QualiSystems' Environment-as-a-Service offering could go a long way toward solving some of these DevOps challenges - at least on the technology side. Connecting legacy infrastructure with cloud environments and being able to streamline testing processes continues to be important, and having everyone on the same page. The takeaway: DevOps administrators face a few distinct challenges, especially in terms of personnel and the culture of the workforce they have. Legacy infrastructure and testing automation also present IT administrators with specific issues that they need to solve before deploying these kinds of methodologies. QualiSystems products, specifically CloudShell and CloudSandbox, can help enterprises overcome these DevOps challenges and reach the Oz of DevOps at the end of the yellow brick road.